Last week was another great week at the beach. Our son, daughter-in-law and two granddaughters arrived on Saturday and we had a couple of great beach days and some pool time, when the weather cooperated, along with good food, good conversations and lots of just hanging out time. 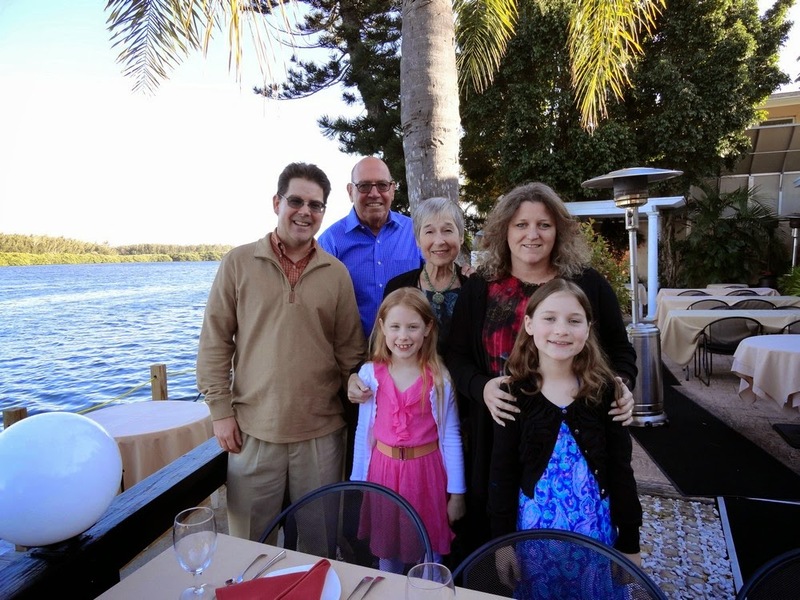 We managed a couple of trips to Capt Curt’s for clam chowder and celebrated Mara’s birthday at one of our favorite restaurants, Ophelia’s on the Bay. We were sorry to see them off for home in Seattle after a fun week. 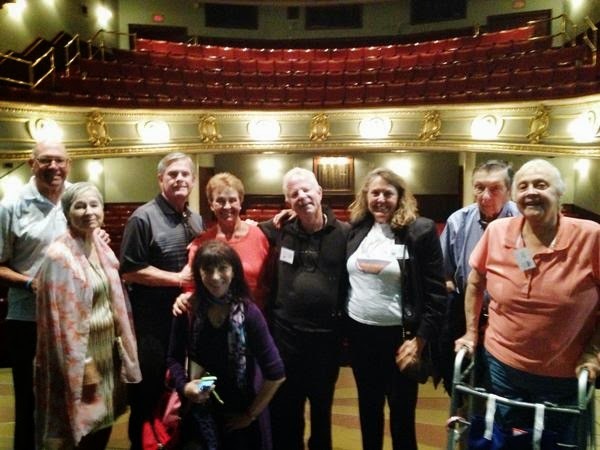 Monday we attended a Parkinson’s event at the Asolo Theatre in Sarasota. The event was organized by Lynn Schramek, founder of the Parkinson’s Cafe. After getting to know everyone over coffee and cookies, we were treated to a backstage tour by Alex Suczewski that was fascinating. After a short history of the Asolo, we saw both stages, the rehearsal space, the green room, a dressing room, learned about costume design and saw the nifty way they move the sets back and forth on rails controlled by a computer. After the tour, we enjoyed a box lunch and a great presentation by actress Carolyn Michel who has been preforming at the Asolo for 25 years. After talking about her career and fielding our many questions, she performed a couple of monologues and it was amazing to see her drop right into the character, changing her voice and facial mannerisms to match. It was a wonderful event and we are looking forward to next month’s visit to the Sarasota Ballet. On the Parkinson’s front, we are very pleased with the new medication routine. Our walk times to the same turn around point on the beach have dropped enough that we have moved the point further out. My rigidity is almost non existent most of the time and Mara has remarked that sometimes my walking speed is almost back to normal, we have even done a little jogging on the beach. The walking poles help with arm movement and walking erect. Studies continue to show that exercise is the best medication for PD, in fact, a Google search for scholarly studies using ‘Parkinsons and exercise’ produced 16,400 results, 617 in 2015 alone. My Doctor’s idea to add levadopa to my medication to reduce the motor symptoms so I would be able to exercise more seems to be paying off.A few weeks ago I was asked to be a guest blogger for HealthiVibe, LLC and my article was posted today and can be seen here. HealthiVibe is a firm helping design clinical trials with the premise that patients should play a more instrumental and active role in the design process and also throughout the patient journey, a topic I have blogged about in the past. I was excited to be able to add my voice to the need for changes in the clinical trial process. Which reminds me, don’t forget to sign up for the Fox Trial Finder, it’s easy and YOU are needed! See you next time.